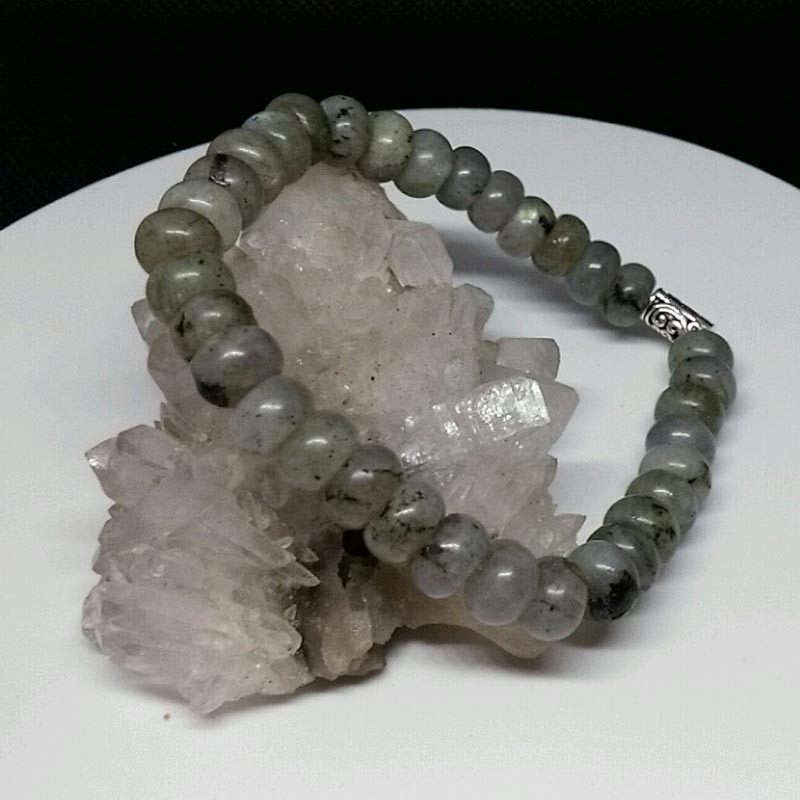 Stretchy bracelet made with 5x8mm labradorite rondelle beads. 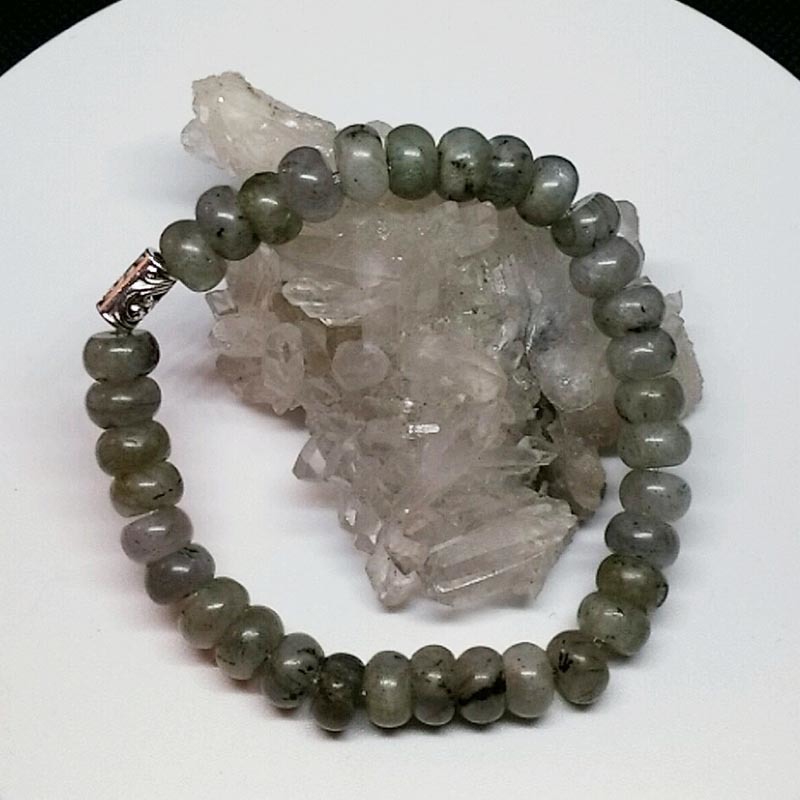 Labradorite beads were named after the location it was founded, Labrador in Canada, is known for its labradorescense in vivid metallic tints of blue, green and yellow. 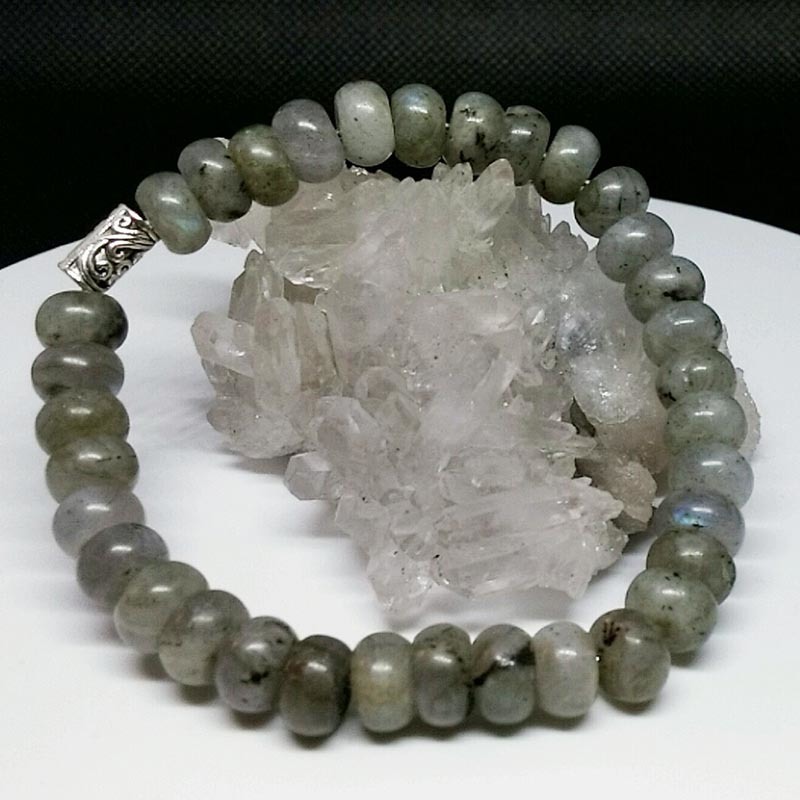 Labradorite bodycolor is dark grey, grey-black, greenish-grey, colorless and brownish with a transparent to opaque quality and has a glass like luster. But move the stones around in the light and you will see flashes of color that surprise you. Labradorite deposits are found in Canada, Australia, Madagascar, Mexico, Russia and the USA.